Overwatch News From Blizzcon: Sombra, New Map, and New Modes | Nerd Much? Those who are sick of the Sombra teases will be very happy with the Overwatch news coming out of BlizzCon. 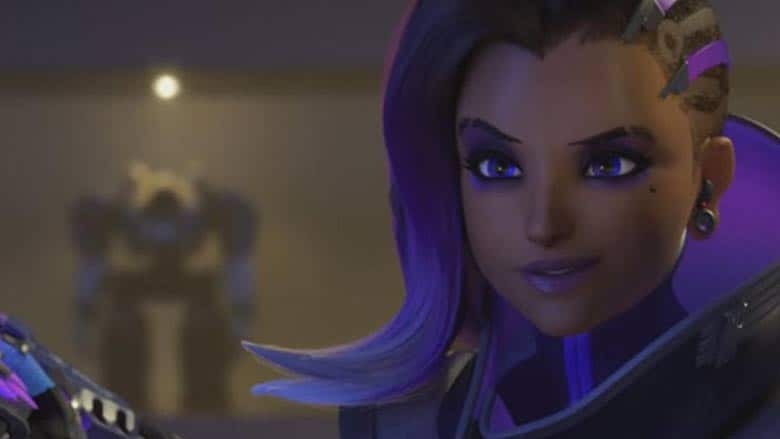 Today, Blizzard officially announced Sombra, the newest offensive hero, with an animated short. She was fully detailed on the Blizzard official site, which notes that Sombra is a “powerful infiltrator” of sorts. She has a Machine Pistol ability, an ability which allows her to hack enemies so their abilities are temporarily disabled, a Thermoptic Camo ability that makes her invisible for a short period of time, and a Translocator beacon that will allow her to return to that beacon’s location at any time while it’s still active. She also has an EMP that can destroy enemy barriers and shields, and it will also hack all enemies in range (although, we’re not entirely sure what exactly that means just yet). The site also notes that she has a 3 star difficulty rating. When looking on to the next new Overwatch hero, we are expecting a Tank spec to be added, given that there are five tanks and five healers (and Ana was already added as a healer many months ago). It looks like an additional Tank makes the most sense, although that is, of course, just speculation on our part. On top of the Sombra reveal, Blizzard also announced a brand new map will be on the way, named Oasis, as well as a new Arcade mode that will feature two new game types, a 1v1 and 3v3 arena-style mode. The Arcade Mode will also feature a new map called Eco Point Arcade. Sombra and the new Arcade Mode will be added to the PTR server next week, and Oasis will release in December.